Beautiful Cotton Blend T in a long sleeve v neck. 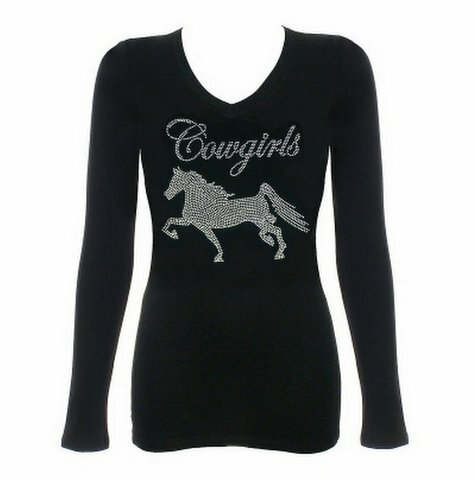 Clear rhinestones features a beautiful Arabian horse with Cowgirls above. Fun!